In Portugal, Ethno is organized by PédeXumbo and the first edition took place in the summer of 2014, in Castelo de Vide. In 2019, Ethno Portugal will happen from the 15th to the 26th of July, also in Castelo de Vide, applications for this year's program will take place from the 1st February to the 15th May. It will be 10 days filled with music, sun, excursions in Alentejo region (in the south of Portugal). In Ethno Portugal, 45 young musicians and dancers from 20 different countries (between 18 and 30 years of age) will share their energy, music, dance and culture and together create a show of original sounds that will be presented in different places. The fourth edition of Ethno Portugal'19 will take place in Castelo de Vide, between the 15th to the 26th July 2019. Ethno camp will start Sunday, 15th July at 16h00 in Castelo de Vide. If you arrive by plane, we advise you to fly to Lisbon’s Airport, from where you can get to Castelo de Vide by public transport: from the airport, take the subway to “Jardim Zoológico” (blue line), where you will get inside "Sete Rios" train station. Outside you will find the main bus station. 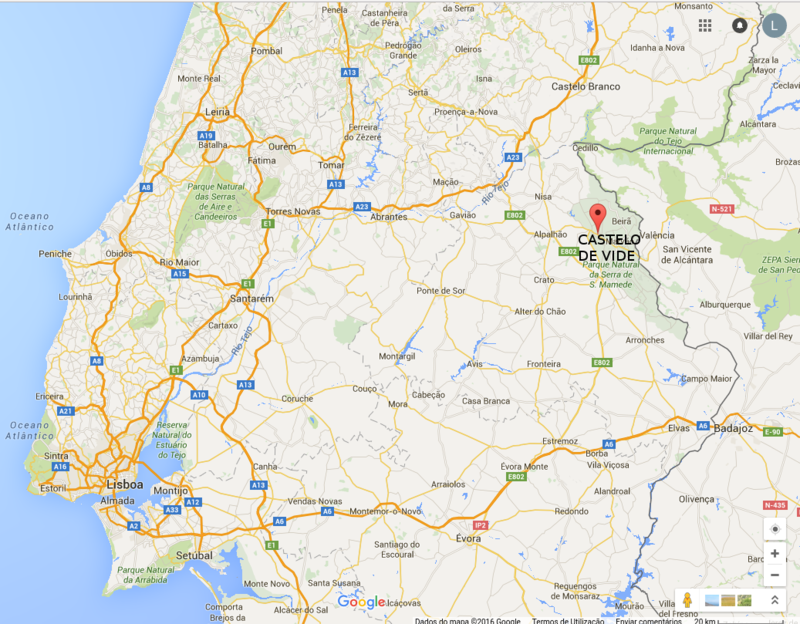 From the main bus station, take a bus directly to Castelo de Vide (there are only two buses per day). If you prefer traveling by car and have space for more people, we advise you to turn your trip more sustainable, economic and fun by sharing it with other participants heading to Castelo de Vide or other people in general. If you are selected to participate in Ethno Portugal, you must prepare a tune or a traditional song from your country to share with the rest of the participants. If you have any ideas for musical arrangments, even better! On the other hand, we suggest that you bring one or two traditional songs that you wish to show the other participants and work them, reinventing and mixing them with other traditional songs during the week of work. If you wish to participate with your musical group, let us know in advance in the online application. We are looking for 12-15 dancers, motivated and with good energy to integrate an experimental dance lab. During the 10 days of Ethno Portugal, the dancers will prepare their repertoire and the group of dancers will create a performance that will accompany the live shows. During Ethno Portugal, different musical mentors will conduct the creative process, propose musical arrangements and assist in whatever is needed. The dance group will also have mentors that will facilitate the creation of the final choreography. Accommodation will be in the public School of Garcia da Orta, in Castelo de Vide, so we recommended you bring sleeping bags. The food is included in the participation fee. During the 10 days of Ethno Portugal, there will be concerts in different cities. Please bear in mind that this year Andanças will take place one week after the end of Ethno Portugal Residency. If you wish, you can stay and enjoy the festival but you must bring your own tent and be responsible for your own accommodation and food, during that period.